The owner of this website is BODEGAS VOLVER SL, with CIF B45687167 and registered address CARRETERA PINOSO-FORTUNA KM1 03650, PINOSO (ALICANTE), registered in the Alicante Companies Registry (Registro Mercantil de Alicante) in tomo 3775, folio 137, hoja A-140011. The contact email address for the company is admon@bodegasvolver.com. The navigation, access and use of the BODEGAS VOLVER SL website implies user conditions acceptance by the user of all the conditions established here , subject to the application of the corresponding law and legislation according to the case. The accuracy and lawfulness of information supplied by the user in forms used by BODEGAS VOLVER SL for the Access to certain content and services offered on the website. The use of information, services and data offered by BODEGAS VOLVER SL contrary to the provisions made by current conditions, the law, morals, good customs and public order or any other type of conduct that may cause damage to third parties or the correct functioning of the website itself. BODEGAS VOLVER SL is not responsible for the content of websites that the user may access through links on its website and states that it will not examine or exercise any type of control over other sites on the Internet. Likewise, it does not guarantee the technical availability, accuracy, truthfulness, validity or legality of sites outside its property which may be accesed through links. BODEGAS VOLVER SL declares it has adopted all the measures necessary to avoid any damage to users of its website, which may derive from the navigation of its web page. As a consequence, BODEGAS VOLVER SL accepts no responsibility, under any condition, of possible damage that surfing the Internet may bring to the user. BODEGAS VOLVER SL reserves the right to carry out modifications it considers opportune, without previous warning, to the content of its web page. This refers as much to the web content as to the conditions of use of the page. Such modifications may be carried out through the web page by any legally admissable form and will be binding while they are published on the web and until they are subsequently modified. In accordance with the law established for the Protection of Data ( Protección de Datos de Carácter Personal) we inform you that your data will be incorporated into the management system of BODEGAS VOLVER SL with CIF B45687167 and registered address CARRETERA PINOSO – FORTUNA KM1 03650, PINOSO (ALICANTE), with the purpose of facilitating, speeding up and fulfilling the obligations established between both parties. In agreement with current regulations BODEGAS VOLVER SL confirms that the information will be stored for the period of time necessary to fulfill the precepts previously mentioned. Unless you confirm otherwise, we understand that your information has not changed, that you promise to notify us of any change and that we have your permission to use it for the ends mentioned above. BODEGAS VOLVER SL declares that it treats all data in a lawful, loyal, transparent, suitable, appropriate, limited, accurate and up-to-date way. Therefore BODEGAS VOLVER SL promises to adopt all reasonable measures to ensure that inaccurate information is deleted or corrected. In agreement with the rights conferred in the current data protection law, you may exercise your right to access, rectify, limit, suppress and oppose the processing of your personal information as well as your consent for the handling of the same by sending your request to the postal address above or by email to admon@bodegasvolver.com. BODEGAS VOLVER SL in its own right or as assignee, is the owner of all intellectual and industrial rights of its website as well as all contents within it (including but not limited to images, sound, audio, video, software or text, brand or logos, combinations of colours, structure and design, selection of materials used, computer programs necessary for its operation, access and use etc) all property of BODEGAS VOLVER SL. They will be, therefore, work protected as intellectual property by order of the Spanish legal system, applicable to Spanish law as well as international treaties relative to the matter and subscribed to by Spain. All rights reserved.  According to the Intellectual Property Law (Ley de Propiedad Intelectual) the reproduction, distribution and public communication – including making available wholly or in part – the content of this website, for commercial purposes by any means and without the authorisation of BODEGAS VOLVER SL remains completely prohibited . The user agrees to respect the rights of Intellectual and Industrial Property of BODEGAS VOLVER SL. The user may view the elements of the site and even print, copy and store them on the hard drive of their computer whenever it is, only and exclusively, for personal and private use. The user must refrain from deleting, altering, avoiding or manipulating any protection facilities or security system that may be installed in the pages of BODEGAS VOLVER SL. BODEGAS VOLVER SL likewise reserves the right to take the civil or criminal actions it deems necessary against misuse of its website and content or against the non-compliance of these conditions. The relationship between the user and the supplier is governed by current legislation and its application on Spanish territory. In the event of any dispute, the parties can submit their dispute to the arbitration or judiciary process, following the rules on jurisdiction and competence in that respect. BODEGAS VOLVER SL has its registered address in ALICANTE, Spain.